Another way to store things in the kitchen is by using baskets. This is a very old solution that still works in today's kitchens as well. When choosing storage options for the kitchen, baskets are always tops on the list for many people. And for good reason, they not only add a nice hidden storage solution, but they can also bring in a touch of warmth, color and/or texture. 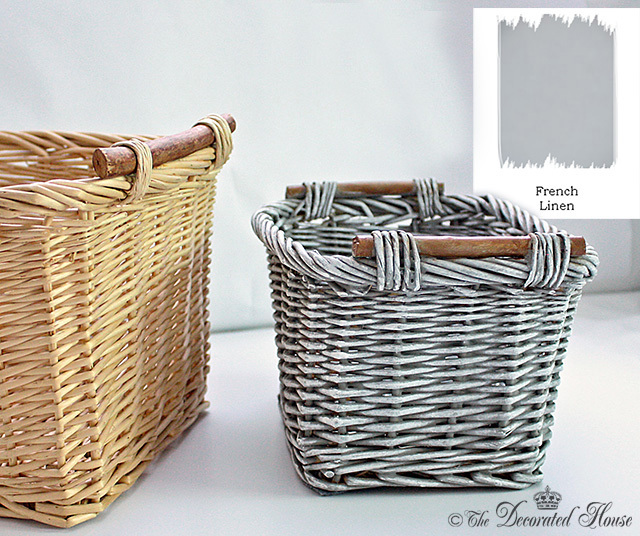 Somewhere along the line, I had a "collection" of sorts of these very inexpensive baskets. There were mostly out of sight, but they were also exactly the right size for a shelf area where we needed quick access to things like keys and they are in easy sight so something needed to be done to them, just to pretty them up a bit. So out came the ASCP again! 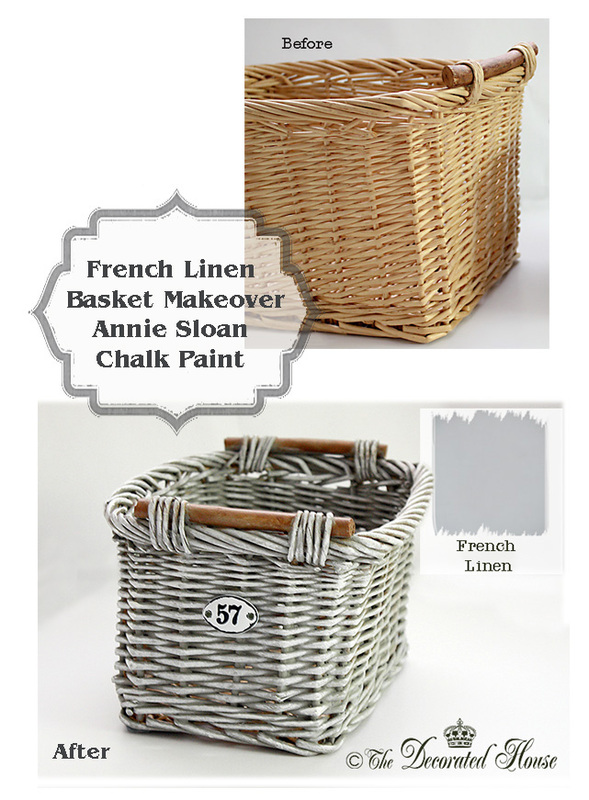 I've had the French Linen Annie Sloan Chalk Paint for a while, but never found the right place to use it for any accessories or furniture. However, when I tried it with the new colors in the kitchen, it was a perfect complement. You can see from the before and after that a little bit of paint makes a big difference. 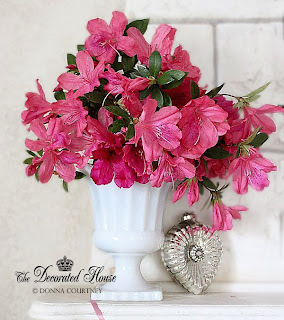 ~ Downton Abbey Season Finale! Part One click picture above. Part 2 Click HERE. film gems for the charity Text Santa.